The funds are aimed at helping VOX attract a further 50 million customers over the next five years. Dubai-based retailer Majid Al Futtaim has announced that its cinema arm will invest Dhs1 billion into its VOX Cinemas business over the next five years, up from an earlier planned investment of Dhs750 million. The funds will facilitate the ongoing refurbishment of existing cinemas, while also helping the company open new locations in existing and new MENA markets, a statement said. The added investment will also help VOX Cinemas attract a further 50 million customers by 2020, it added. Cinemas in the Middle East are seeing strong growth, with VOX posting a 50 per cent rise in admissions from January to April 2015, compared to same period last year. 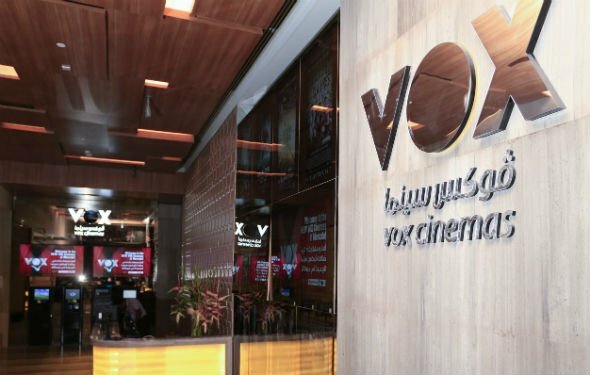 Launched in Ajman City Centre in 1999, VOX is presently the region’s largest cinema exhibitor and offers experience such as Dolby Atmos surround sound technology, luxury cinemas, large format screens and 3D and 4DX technology. VOX currently has 129 screens across 13 complexes in the UAE, Oman and Lebanon, with the most recent one launched at Burjuman Mall in Dubai on Friday. The new VOX Cinema has 14 screens including four VOX GOLD screens, one VOX MAX big screen experience and one VOX kids theatre for private parties and children’s events. In the last 15 years, VOX has screened more than 5,000 films to 50 million customers in the Middle East. While no specific details were disclosed about expansion plans, the company had earlier stated that new VOX Cinemas were being planned for Qatar, Bahrain and Egypt. Early last year, it also announced that it would develop the largest cinema in Qatar in Doha Festival City.